The Legend of Zelda Hyrule Historia is set to release in North America in Jan 2013. Amazon.com has hardcover for pre-order for $20.99.The japanese version sells on eBay for $80.00-100.00. 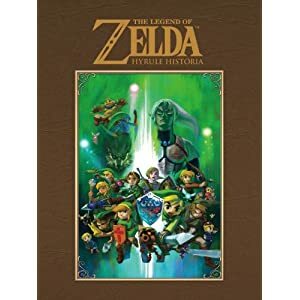 Hyrule Historia will be made commercially available on January 29th, 2013 and it will cost $34.99 so you don’t have to spend nearly $100 on an import copy.